The performance of any light fixture depends on the type of bulb source that is used. Different light bulb sources will produce different effects, will use different levels of electricity (watts) and will produce different levels of light (lumens). For general bulb info read below; if you are trying to match a bulb you already own, or to find a replacement light bulb, please visit our bulb identifier and finder guide page. 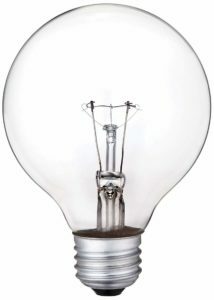 Incandescent bulbs are inexpensive and readily available in a variety of wattages and shapes. They produce a yellowish-white light that is emitted in all directions. They are available in either clear or frosted, General (A), Globe (G), Decorative (D), (flame, teardrop, and other shapes). Reflective coating inside the bulb directs light forward, giving you better beam control than general service bulbs. Flood types (FL) spread light. Spot types (SP) concentrate the light. Reflector (R) bulbs put approximately double the amount of light (foot-candles) on the subject as General Service (A) of same wattage. Parabolic Reflector (PAR) bulbs control light more precisely. They produce about four times the light of General Service (A) and are used in recessed and track lighting. Weatherproof casing makes them suitable for outdoor spot and flood fixtures. 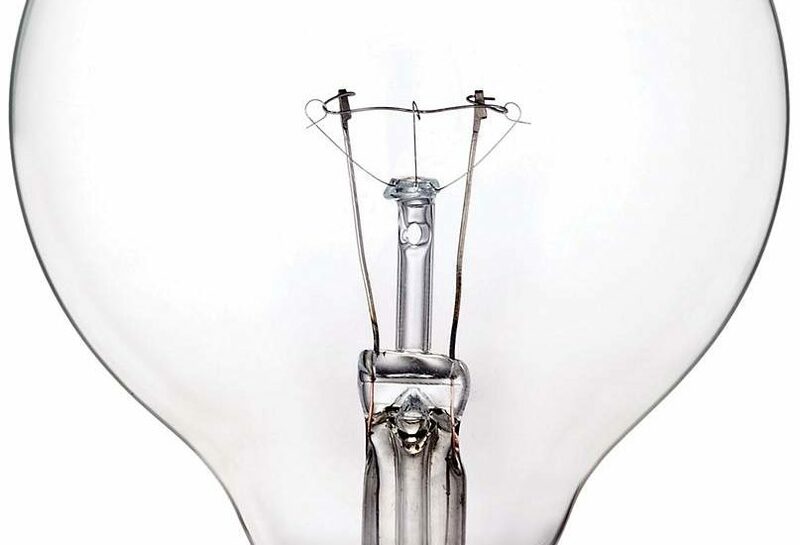 Halogen bulbs use a gas inside the glass bulb to produces a bright, white light. They have a longer life and provide more light (lumens) per watt than regular incandescent bulbs. They will also maintain maximum efficiency of light output throughout the life of bulb, with far less a drop-off in lumens and efficiency compared with incandescent bulbs. They are available in both line-voltage (120 volts) and low-voltage types. Low-voltage types require a transformer to step down the voltage. The most popular tungsten-halogen bulbs are Line Voltage. PAR 16, 20, 30 and 38 reflectorized bulbs provide better beam control than regular incandescent PAR bulbs. Available in numerous spot and flood beam spreads. Used in track, recessed, and outdoor spot and floodlights. T-3 Double Ended bulbs are available in a variety of base types and are used in wall sconces, torchiere floor lamps, and outdoor floodlights. The direction of the light is controlled by the fixture. T-4 Single-Ended bulbs come in both mini-can and bayonet base types and are used in wall sconces, bath bracket, torchieres, and pendants. The direction of the light is controlled by the fixture. Fluorescent light bulbs use 1/5 to 1/3 as much electricity as incandescent bulbs with comparable lumen ratings and last up to 20 times longer. Compact types known as CFL bulbs are used in smaller, trimmer fixtures such as recessed downlights, wall sconces, close-to-ceiling fixtures, and track lights. Screw-in types can be used in place of incandescents in standard lamp sockets. Available in a wide spectrum of colors. Warm white tones best duplicate the color of incandescents. LED stands for “Light Emitting Diode”. These new type of “bulbs” are actually an electronic light source. LED bulbs offer long life and reduced energy use compared with regular incandescent bulbs, halogen bulbs or even CFL bulbs. High-intensity discharge (HID) bulbs have a longer life and provide more light (lumens) per watt than any other light source. 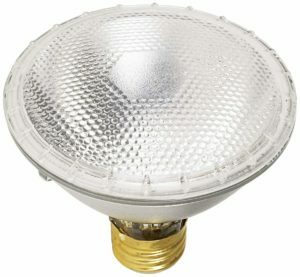 Available in mercury vapor, metal halide, high- and low- pressure sodium types. They are primarily used in residential home applications for outdoor security and for large landscape lighting applications. For help in determining what bulbs to use in specific applications, talk to a Lamps Plus certified lighting consultant by phone or at your local Lamps Plus showroom. Our trained lighting experts can help you choose the best available light source to suit your needs.